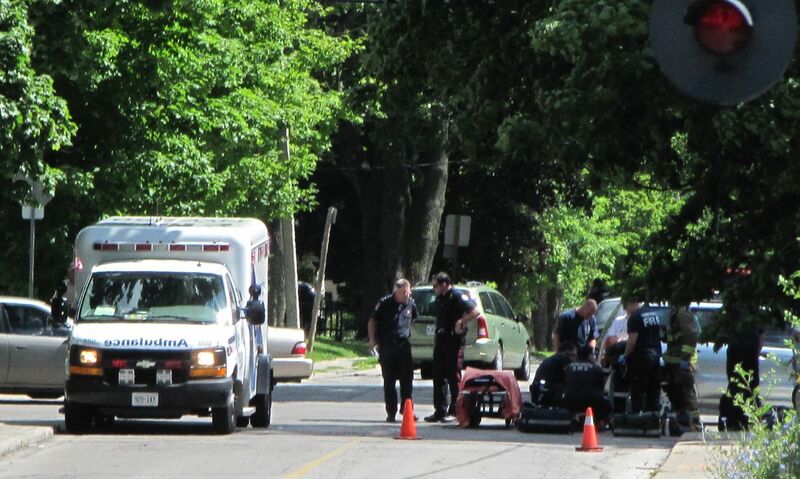 A cyclist was badly injured at 11 a.m. in a collision at the intersection of King and Rosemount. He is recovering with serious but non life-threatening injuries. A Subaru Forester SUV was stopped at the intersection on Rosemount as the cyclist crossed. The driver accelerated out of the intersection and directly into the cyclist. The driver said she was paying attention to another cyclist heading east and did not see the cyclist heading west. The west-bound cyclist was thrown over the hood of the SUV. He lost two teeth, received serious abrasions, and may have a broken jaw. His high-performance bicycle was destroyed. Police, ambulance and fire services were at the scene within minutes.